One Owner!! 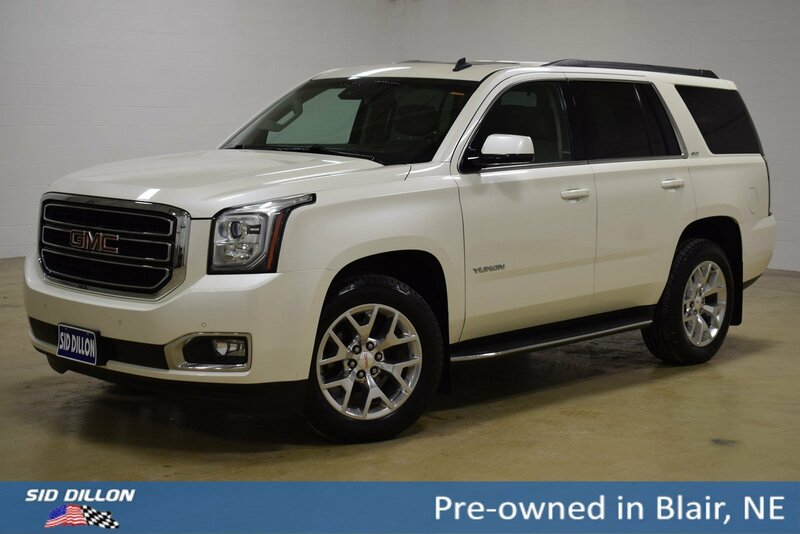 This 2015 GMC Yukon SLT comfortably packs in your passengers and their bags with room to spare. 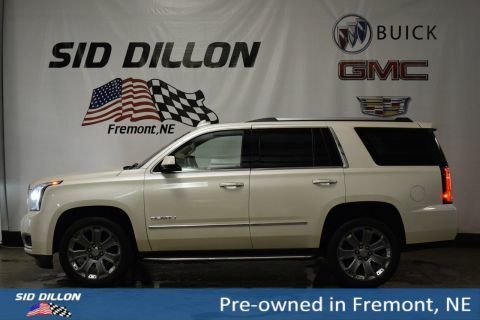 Sunroof, DVD player, Navigation, Power drivers seat, Tire Pressure Monitoring System (does not apply to spare tire), StabiliTrak, stability control system with brake assist, includes traction control, Side Blind Zone Alert with Lane Change Alert, Safety Alert Seat (Included and only available with (Y65) Driver Alert Package. ), Rear Vision Camera. 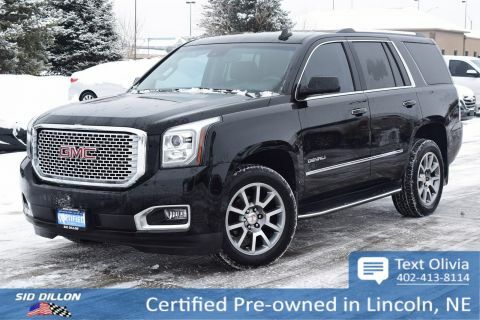 This GMC Yukon is a Safety Superstar! 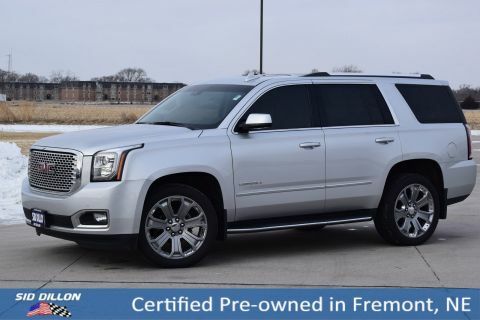 SUSPENSION PACKAGE, STANDARD Increased capacity, Premium Smooth Ride with Air leveler, OPEN ROAD PACKAGE includes additional 9 months of SiriusXM Radio and NavTraffic service, (CF5) power sunroof, (U42) rear seat entertainment system and on SLT (IO6) Audio system with navigation, LICENSE PLATE FRONT MOUNTING PACKAGE, HD TRAILERING PACKAGE includes (GU6) 3.42 Axle Ratio, (JL1) Trailer brake controller, (Z85) Suspension Package and includes (NQH) transfer case, active, 2-speed with 4WD models, ENHANCED SECURITY PACKAGE includes (UTR) self-powered horn, (UTV) interior movement and (UTU) vehicle inclination sensors, door lock shields and glass break sensors in rear quarter glass and liftgate window; removes sunglass holder and conversation mirror from overhead console, TIRES, P275/55R20 ALL-SEASON, BLACKWALL, SUSPENSION PACKAGE, STANDARD Increased capacity, Premium Smooth Ride with Air leveler.